I don’t know what Zacchaeus imagined was going to happen the day he climbed that tree to see Jesus. Did he expect that the experience of seeing this new rabbi would change him in some way, or was he just caught up in the idea of catching a glimpse of a celebrity? He certainly didn’t know he was going to be hosting Jesus in his home, and I don’t think he had any clue how much his life would change that day. A woman caught in adultery in first century Judea would have no hope for the future. The most she could look forward to is a quick death. She certainly wouldn’t expect freedom and forgiveness. Yet, that’s exactly what happened to one woman, who was dragged out to be stoned to death, and then encountered Jesus. 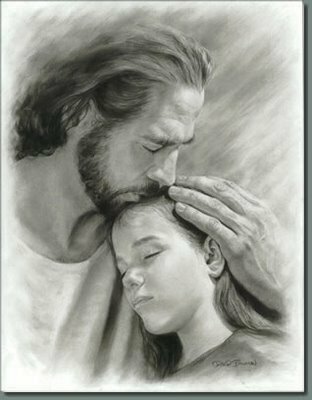 Where she imagined that he would, like every other religious person there, condemn her, instead he rebuked her accusers and offered her forgiveness and a new direction in life. As these people – and so many more – encountered Jesus, they found that even the best they could hope for or imagine came short of what Jesus would do for them. His power at work in them was so much more than they anticipated. Paul’s words that are our text for today talk about this, as he says, “Now to him who is able to do immeasurably more than all we ask or imagine, according to his power that is at work within us.” What is the power he is referring to? To understand that, we have to back up a little. In the verses that comes before this, Paul writes a prayer to the church in Ephesus, and he says, “I pray that out of his glorious riches he may strengthen you with power through his Spirit in your inner being, so that Christ may dwell in your hearts through faith. And I pray that you, being rooted and established in love, may have power, together with all the Lord’s holy people, to grasp how wide and long and high and deep is the love of Christ, and to know this love that surpasses knowledge—that you may be filled to the measure of all the fullness of God.” The power that is at work within us is the power of knowing the depth of Christ’s love for us, and knowing how he has shown us that love. Paul was familiar with this power. He had lived it. Of course, there was the miraculous event in which Jesus appeared to him on the road to Damascus, changing him from one opposed to Christ to a witness for Christ. He had been healed of blindness, saved from death a variety of times, and had multiple personal interactions with the risen Lord. But it wasn’t in those miraculous experiences that Paul saw the greatest demonstration of God’s power. It was in his grace. Paul wrote in Romans 1 that the Gospel is “the power of God for salvation.” Paul, who saw himself as the worst of sinners, knew that he had been saved from death and given access into eternal life. To know the love of God in Christ was far beyond any earthly good for Paul. And so he wraps up this prayer for the Ephesians by talking about the power of God’s love that is in Christ, and says that according to that power, all those who are in the church, from generation to generation, give glory to Jesus, the one who can do more than we ask or imagine. That power is in you. Through faith in Jesus, given to you by the Holy Spirit through the Word of God, you know the love Christ. Maybe you know it because, like Zacchaeus, you’ve seen a change in the way you live, and the selfishness you used to hold on to has given way to love for God and love for others. Maybe you, like the woman caught in adultery, have known what it’s like to be caught in a sin and afraid of the punishment to come, only to experience grace and forgiveness and release. Maybe you’re like the woman in Nain, and at some point you couldn’t see beyond grief and sadness, but God turned things around and showed you a joyful future. Maybe you’re like Paul, fully aware of your sin, fully aware of your need for forgiveness, feeling like there is no one who has fallen as far as you have – yet you know that at your lowest, Jesus is there with his forgiveness and peace, and you know that you have been saved. However that power has shown itself in your life, you can trust that it will continue to show itself again and again in your life, in ways you would never ask or imagine. I can’t tell you what that will look like; only God knows how he’s going to prove his grace to you. But he will do it, and he will do so for his own glory, that through your life his glory will be revealed. And maybe right now you’re in a place where it’s hard to see it. Maybe there’s a sin that has you feeling trapped, and no matter how hard you try, you can’t escape it. Trust in the power of Jesus. Go to his Word and find freedom. Maybe your future doesn’t look so great right now, maybe you’re afraid of what you see on the road ahead. Trust in the power of Jesus. Go to his Word and find strength and peace. 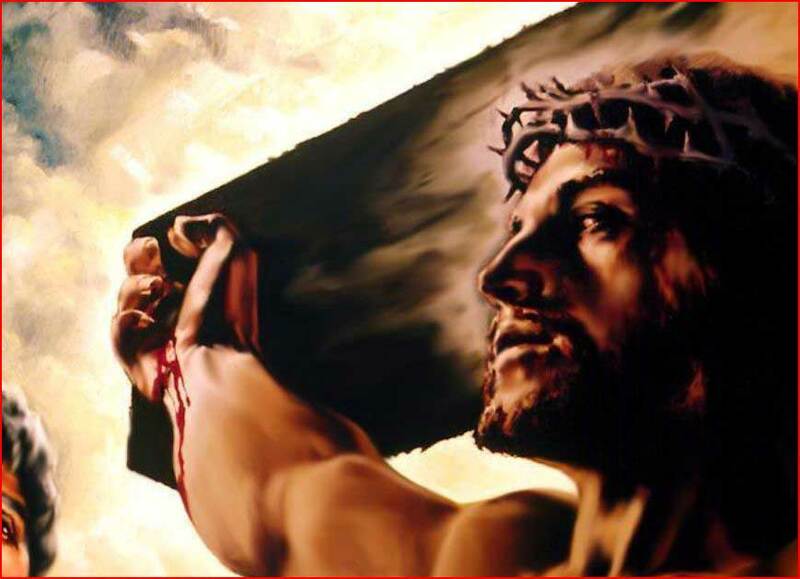 Maybe you feel crushed by guilt and can’t imagine how anyone would forgive you, let alone a holy God. Trust in the power of Jesus. Go to his Word and find the assurance that his love is greater than any sin. Maybe you’re just struggling with spiritual apathy, unable to feel much of anything when it comes to your faith. Trust in the power of Jesus. Go to his Word and be filled, and remember that whatever you feel, God’s love for you never changes. When the storm comes, you can’t fight it or stop it. You just take cover. These last couple weeks our area has been slammed with two separate blizzards. 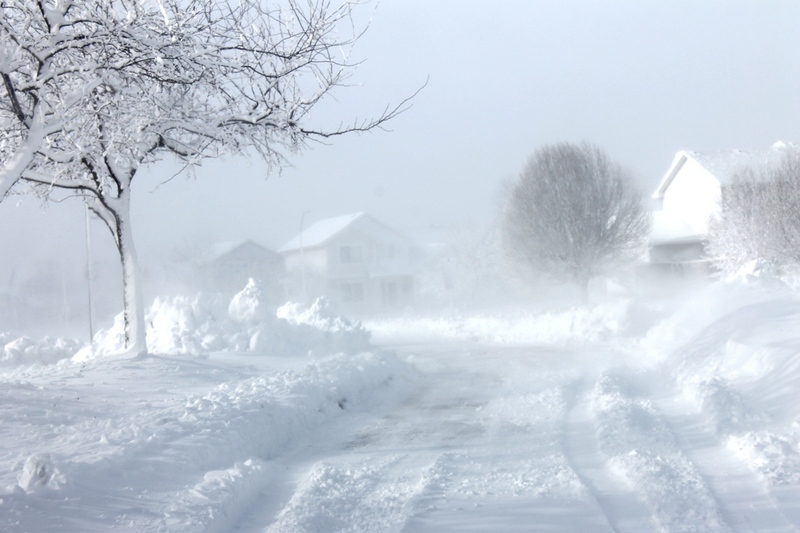 School was canceled, roads were closed, and folks were advised to stay inside and stay warm. Much of the activity of our town – and most of the state, for crying out loud – shut down as people sought shelter from the storms. Not that this is new for us in Minnesota. Winter brings the blizzards, summer brings the thunderstorms and tornadoes. Just another week on the celestial plains. But as such, we are familiar with this simple truth – when the storm comes, you can’t fight it or stop it. You just take cover. Who can stop the wind? Who can hold back the snow and rain? Who can fight against the lightning or tell the tornado to turn back? The storm is unstoppable. Uncontainable. Inexorable. Yet, there is one with mastery over the storm. As a man, he once lay sleeping in a boat while a storm raged on the sea all around him. His followers woke him, fearing for their lives and hoping beyond hope that he could do something. “Quiet! Be still!” he commanded, and the winds obeyed. The waves ceased. The storm was stopped. If the storm is unstoppable, what must we say about the one who is actually able to put a stop to it? This is truly the Maker of heaven and earth. This is the one who sends the storm winds flying and calls them back again. This is the Master of all creation. This is God. If we cannot stop the storm, could we ever hope to fight him? God has promised that a day of reckoning is coming, when he will bring more than just snow and rain, thunder and lightning, wind and cyclone. He has promised that he will shake the pillars of heaven, sweep the stars from the sky, darken the sun and melt the moon, and all the earth will be laid bare before him. Who will stop that final storm? The Master of all creation, the stopper of the storm, was unstoppable in accomplishing his goal of destroying the power of sin, death, and the devil. His grace could not be stopped. We soon enter another Lent season, and the storms of these past weeks have been a fitting reminder of the power of our inexorable God, whose unstoppable grace saved us all. How Do I Talk to My Child About Abortion? But is there weeping here in America? American clinics perform about 1 million abortions per year, more than 3,000 per day. I say heartbreaking rather than shocking, because you’ve seen these statistic before. I have too. So often that it might be easy to just see numbers and forget what they really mean. Abortion is again forefront on our national conscience. Planned Parenthood has been exposed by (as of now) eight videos, which implicate that not only are they America’s top abortion provider, but are also selling human fetal tissue for profit – a federal crime. The callous demeanor of the people in these videos just highlights how far we’ve strayed into the mire. All the publicity and conversation generated by this has inspired some interesting conversations around my dinner table, and maybe around yours too. For parents of young children, it raises the question – How do I talk to my kids about this issue? How young is too young to explain it to them? The problem we parents face is that we can never keep our kids insulated from the evils of the world. If they don’t hear about it from us, someday they’ll hear it elsewhere: A friend at school, a news program, a conversation you didn’t know they were overhearing. It is their nature to hear far more than we expect. If we can’t keep them from it, then we need to be proactive in teaching them about it. When we approach a sensitive subject with our kids, it’s good to do so with lots of prayer. Ask the Lord to give you the words, and the grace to handle the questions appropriately. Remember that God has given your children to you; while that may seem like an awesome responsibility, it also means he isn’t going to leave you out to dry. God will equip you. At the same time, he wants us to be wise in our approach. 1. Every child is a blessing from God. Our culture has become so murky with the notion that the value of life is determined by its quality, or by how it came to be. Let’s give our kids the worldview that all life is precious, no matter the circumstances surrounding it. 3. They try to say that a baby in a mommy’s tummy isn’t really a baby. Let’s put our kids on guard against the sterilization of terms that we see all around us. “They use words like fetus and embryo and tissue to avoid saying what it is… a baby.” But once again, we want to build compassion in our children. The woman who has been convinced to have an abortion has been convinced to believe that it’s not a baby. 4. They have a doctor take it out before it’s time, and then the baby dies. This is, perhaps, the hardest part. How much do I tell my child about what is actually happening? Do I give details? Is there some way to sugar coat it? I believe we need to be honest and straightforward with our children about what is happening. We’re often afraid they’ll be emotionally scarred by hearing what to us sounds gruesome. Remember that your child probably has no frame of reference. Unless they’ve witnessed childbirth and/or death, they probably will have a distorted (and possibly somewhat silly) mental image with all of this. And that’s okay. It means they won’t be traumatized by knowing what is happening, and in time they will get a clearer picture. Don’t hedge on the reality of what abortion is; your child is trusting you to give them an honest view of the world. That doesn’t mean we need to go into gory details. Depending on the age of your child, you can keep it as simple as they are ready to handle. I think my phrasing here is good for kids as young as 2-4 years old. For older ones, maybe you need to explain a little more. However, it’s better to err on the side of simple, straight, and honest. 5. It’s very wrong, and very sad. We also want to be honest with our kids about the moral and emotional implications. No matter what you’ve heard, read, or been told, here’s the simple truth: Abortion is murder, and murder is wrong, and it always leaves scars. A woman doesn’t have an abortion and come out better the other side. 6. But Jesus wants them to know that he loves them, even when they do this. He forgives them. The worst reaction a Christian can have to abortion (other than accepting it) is to shout words of condemnation and loathing at those who have gone through it. Do you need to call it sin? Yes. Will you ever change a heart by telling a young woman how disgusted God is with her? No. Let’s make sure our kids grow up knowing that Jesus loves all sinners, and forgives all sinners. No matter what they’ve done. This is the most important message we can give our children. 7. 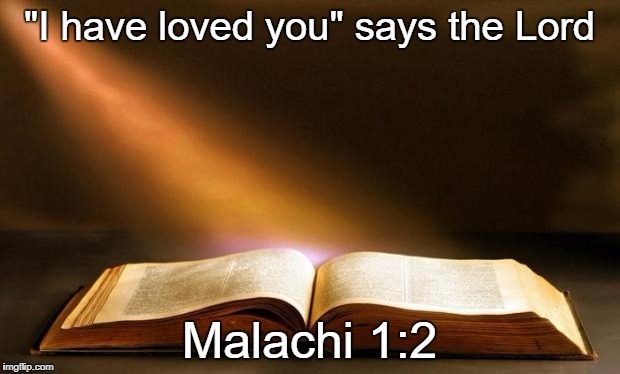 He wants us to let them know that he loves and forgives them. Our job is not to change people’s actions so that they become more moral. Our job is to introduce them to Jesus. So when we confront the problem of abortion, the primary goal is to speak grace. That’s even more important than stopping abortion from happening, though stopping it is a good goal. You can earnestly reach out with the Gospel and also work to forbid abortion. But those who focus entirely on stopping it lose sight of the greater goal. So, keep the horse in front of the cart, and then you get both cart and horse where you want to go. 8. He also wants us to let everyone know that babies are a blessing. Don’t underestimate how much your child will want to help make a change. They can be a part of this. Donate time to a pregnancy center or march for life somewhere, or pray about this before going to bed at night. Those things honor God and are part of the mission. The pro-life movement has its place in this battle, and our little ones can be a part of that. In the end, you know your child best, and you are the best person to tell him or her about abortion and what we can do about it. Be the voice of truth in your child’s life, and help them grow up to say what God says about this. Have you found some good strategies for helping your child understand this sensitive issue? Please use the comments section to share! … and when I first saw it I snorted in derision and shook my head at the foolishness of a world always looking for another savior. At the time, I didn’t know much about U2 other than that I had more than a few high school friends who liked them and that Bono was apparently into more than just making music. 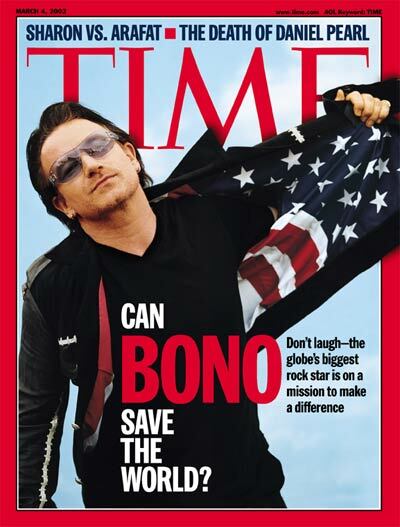 Over the years when I would hear about Bono working on one campaign or another to feed the hungry, combat HIV/AIDS, or provide education to those in poverty, I always chalked it up to one more celebrity trying to find meaning in life by doing something good, missing the bigger picture of a relationship with Christ.